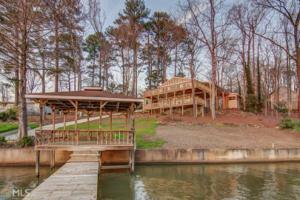 View Bald Eagle's Nest from you Deck... Complete renovation.The magic of cove life with a Expansive sunset views from huge decks and walls of windows. 5 bedroom/3 bath Open floor plan w NEW high end appliances, lighting, cabinets, granite counters, new flooring, windows, Hvac, landscaping with irrigation, Master and 2nd bedroom on main. Downstairs has large recreation/living room and 3 more bedrooms, separate laundry room. 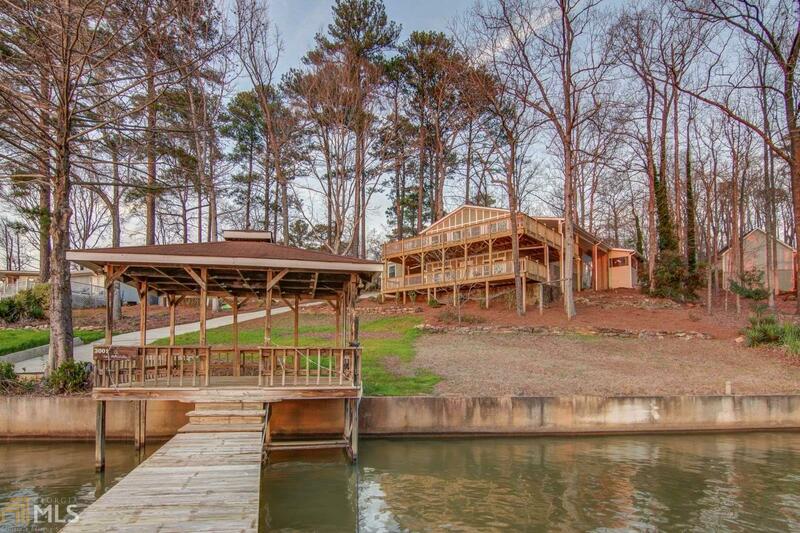 Great views from upper and lower levels AND upper and lower decks that wrap the front and sides of this unique home. Attractive and spacious storage buildings for lake toys, workshop, bunk room, garden shed or whatever you’d like! Deep water at the dock, boat ramp,poured sea wall. Furnishings available. Turtle Cove amenities. Agent owned.